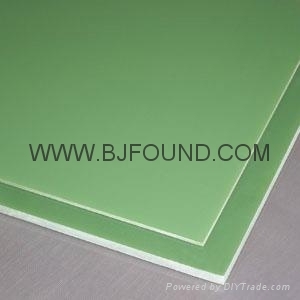 1.G10 Epoxy glass cloth laminate. 2.G10 laminate is made of alkali-free E-glass cloth impregnated with epoxy resins by processing under heat and pressure. 3.G10 laminate with high mechanical properties and dielectric properties.G10 laminate has extremely high mechanical strength at moderate temperature.very good stability of electrical properties in high humidity. Advantages︰ G10 Epoxy glass cloth laminate exhibits extremely hight mechanical strengths(flexural,impact,and bonding) at room temperature,good dielectric loss and electric strength properties under both dry and humid conditions.